This post began being written a couple of weeks ago when I recalled some specific misplaced expectations I had for the self-publishing revolution and started to ponder why things happened the way they did in recent years. It turns out a big part of the answer I was looking for provides clarity that extends far beyond my original question. For a period of a few years that probably ended two or three years ago, we saw individual authors regularly crashing bestseller lists with self-published works. Some, like Amanda Hocking, parlayed their bootstrap efforts into significant publishing contracts. Others, like Hugh Howey, focused on building their own little enterprise and tried to use the publishing establishment for what it could do that a self-publisher couldn’t. (In what was certainly a very rare arrangement of this kind with a major indie author, Howey made a print-only deal for his bestseller, “Wool”, with Simon & Schuster. And he made foreign territory and language deals and Hollywood deals as well.) And we know that there were, and are, a slew of indie authors who self-publish through Amazon and don’t even bother to buy ISBN numbers to get universal distribution under a single title identifier, effectively keeping them out of bookstores. All of this was enabled by three big changes to the historical book publishing and distribution ecosystem. One was the rise of ebooks, which simplified the challenge of putting book content into distributable form and getting it into the hands of consumers. The second was the near-perfection of print on demand technology, which enabled even print books to be offered with neither a significant investment in inventory nor the need for a warehouse to store it. And the third was the increased concentration of sales at a single retailer, Amazon. Between print and digital editions, Amazon sells half or more of the units on many titles and, indeed, may be approaching half the retail sales overall for the US industry. What the rush of indie bestsellers told us a few years ago was that things had changed to the point that a single person with a computer could achieve sales numbers that would please a big corporation going after sales with the tools provided by tons of overhead: careful curation and development, sophisticated production capabilities, teams of marketers and publicists, legions of sales people, and acres of warehouse space. This had not been possible before ebooks. And the market reach of the amateur publisher was extended even further as Amazon’s share of print sales surged as a direct result of retail shelf space declining with Borders’s passing and Barnes & Noble’s shrinkage. For a period of time that was relatively brief and which now has passed, agents and publishers worried that self-publishing could be appealing to authors they’d want in their ecosystem. The author’s share of the consumer dollar is much higher through self-publishing. And the idea of “control” is very appealing, even if the responsibility that goes with it is real and sometimes onerous. So, I warned with what felt like prescience, entity self-publishing might present an even greater threat to publishers than independent authors would. I was thinking about the scale value that publishers brought to producing revenue for books. Historically, that had been about capabilities that only a book publisher would have at its disposal, the tools we referred to earlier. With Ingram then adding a turnkey service called “Spark” to reach the half of the market that was not delivered by Amazon in the US, access to other ebook retailers wherever they are, and enabling print sales around the world, a publisher could “rent” all the infrastructure it would need to reach all the audience there is with two stops: Amazon and Ingram. The entities that I had my eye on from the book publishers’ perspective were those already in the print content business: newspapers and magazines. They all start out with assets that would seem to lend themselves to creating and promoting books. They have access to vast number of writers, on staff and through work-for-hire arrangements. They have editors on staff as well as the knowledge of how to find and hire more for projects. They have direct online access to a large number of consumers, including the opportunity to know their interests in a very granular way. They have advertisers who could be useful for promoting books or even buying them in bulk. 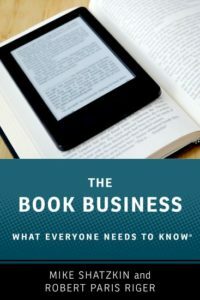 But despite the fact that there was, indeed, a slew of activity 2-to-4 years ago from a variety of non-book publishing content entities to get into ebooks, there have been no apparent breakthroughs. Nobody has cracked the code. Nobody who is not a book publisher has used the rent-a-scale capabilities to build a sustained book business. It is not that many haven’t tried, or are still trying. Among those who have been or are still in the game are The New York Times, The Washington Post, The Guardian, The Atlantic, The Huffington Post, NBC, the Minneapolis Star-Tribune, and The Boston Globe. They have sometimes worked in conjunction with digital start-ups. For example, the New York Times worked with Vook (now called Pronoun and acquired earlier this year by Macmillan) and Byliner, whose original proposition was “short ebooks”. There have been a variety of approaches to create the content. Sometimes these publications and websites have recycled their own material or used internal resources. The Boston Globe did an insta-book on Whitey Bulger and some on Boston sports teams, as well as creating a book of photos of Boston that had already run in the paper. (The Boston Bruins’ Stanley Cup championship was commemorated in a book delivered both in print and digital days after they won.) The Star-Tribune used internal staff to execute the mechanics of delivering ebooks. The Boston Globe’s Bulger book, published by Norton in print, showed them that they could do the ebook work themselves. Obviously, the idea of book programs using magazine brands is not new with the digital age. Decades ago, Hearst, Rodale, and Meredith were all big magazine companies committed to real book programs, which was what it took to support the infrastructure or to form a close relationship with a publisher to provide it. Hearst has had a robust book program for a long time because they once owned the book publishers Morrow and Avon. When they were sold in the mid-1990s, the management saw virtue in maintaining the book program so they teamed up with Sterling Publishing for everything from assists creating the content to all the scaled book publishing functions. The relationship continues to this day, although Hearst also licenses other projects to other publishers. Rodale remains active in both books and magazines, with their own organization doing the books. And Meredith temporarily moved its book program from “independent” to publisher John Wiley. It is now a shadow of its former self. Even in the simplified age we’re in now, leaning on a publisher with all the pieces in place can be a way to tackle the challenge of having an adequate infrastructure for books. I am currently reading a “Washington Post” ebook on climate change that was published in conjunction with Diversion Books, a digital-first publisher created by literary agent Scott Waxman during the height of the indie publishing ebook fever. The Byliner collaboration with the New York Times was first reported in 2012, and the Times started their initiative with Vook almost simultaneously. At the same time, programs were being announced in the UK by the Guardian and the Financial Times. All of that inspired the pundit in me to say “watch out”. But there’s been a lot less activity since. It’s worth asking why. Of course, there are logistical and organizational challenges to just bolting a book publishing program onto an existing content-creating entity. The writers and editors at newspapers and magazines are already fully employed; they’re not looking for additional things to do. And the job specs and incentive arrangements are all about the principal activity. The marketing mechanisms at a periodical publisher are, likewise, fully engaged. So the newspaper or magazine might have more powerful tools for some marketing purposes than a book publisher does, but no book operation inside one of them could get them dedicated to help sell books on anything but the most sporadic and opportunistic basis. In addition to the fact that the sailors all have existing assignments, a book publishing initiative would also lack a captain. We observed a couple of years ago that one of the great indie publishing successes, a cookbook called “Modernist Cuisine”, carrying a price tag of $625 and published by Microsoft co-founder Nathan Myhrvold, was largely made possible by the leadership of a veteran publisher, Bruce Harris. Yes, Ingram did the “scale” work: printing, warehousing, selling, distributing. And it wouldn’t have been possible without them. But Harris worked out the commercial equations (what should the retail price be, for example) and the marketing campaign that carried it to its success. There are other veteran publishers like Harris available to be engaged as consultants, but it is also much easier for a single entrepreneur like Myhrvold to make use of one than it would be to have them integrate with an existing organization formed for another purpose. I asked indie-publishing experts Jane Friedman and Porter Anderson (their weekly “Hot Sheet” newsletter for independent authors is a great resource) for their take on the question I was posing: what happened to all those newspapers and magazine initiatives? Why did it seem that none of them achieved the success I was expecting? Friedman drew on her experience at Virginia Quarterly Review (VQR), which had publishing ambitions based on ebook economies but ultimately abandoned them. She saw the “complications” falling into three buckets. Clearing rights for projects with multiple authors, which VQR would have been frequently called upon to do, was challenging, time-consuming, and frustrating. The organizational structure and staffing was far from optimal for a book publishing operation. The profit potential was too small to make it worth the effort to overcome the other two problems. But, even accepting all of that, I’d suggest that the biggest reason this activity was so feverish 2-to-4 years ago and isn’t so much now was revealed first in a vitally important post by hybrid author and helper-of-indies Bob Mayer and then reiterated by the latest report from the Author Earnings website. Mayer built an impressive business for himself by reissuing titles of his that had previously been successfully published and gone out of print. He spells out clearly what has changed since the days of big indie success and the plethora of entity-based publishing initiatives. The marketplace has been flooded. An industry that used to produce one or two hundred thousand titles a year now produces over a million. Nothing ages out of availability anymore. Even without POD keeping books in print, ebooks and used books make sure that almost nothing ever disappears completely. 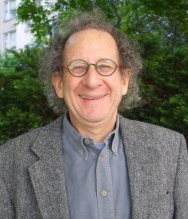 And Mayer’s sales across a wide range of titles — his and other authors whom he has helped — reflect the mushrooming competition. They’re down sharply, as are the sales of just about everybody he knows. What Mayer wrote tended to confirm that the breakthrough indie authors happened far more frequently before the market was flooded. Authors who struck it rich in 2010 and 2011 (like Hugh Howey) were lucky to get in before the glut. Recommending that somebody try to do the same thing in 2013 or 2014 was telling them to swim in a pool with water of a completely different temperature. On the heels of Mayer’s piece, Author Earnings made discoveries that seemed to startle even them. For those who don’t know, AE is a data collection and analysis operation put together by indie author Hugh Howey teamed with the anonymous analyst “Data Guy”. The AE emphasis is on what the author gets, (“a site for authors by authors” is what they call themselves) with less interest in what publishers want to know: how topline ebook revenues are shifting. According to the industry’s best analyst, Michael Cader, the most recent AE report shows, for the first time since they’ve been tracking it, a reduction in earnings for indie authors and an increase for published authors. (Cader may have a paywall; here’s another report from Publishing Perspectives.) But even more startling is the shift in revenue. Publishers have booked 65% of Kindle revenues and Amazon Publishing has 10%. They put self-published authors at 20%, which is down from 25% previously. It is not a big surprise that Amazon Publishing is able to grow its own share of Kindle revenue. But the fact that publishers are holding their own, in the aggregate, while indie authors are not, underscores the challenge that non-publisher books are facing. The title output of publishers has remained relatively flat. The title output of indies has surged. So the per title sales of indie books must be collapsing relative to the publishers’ output. What this is telling us is that, whatever deficiencies there are in the way publishers are organized for publishing today, they clearly are able to marshal their resources more effectively for book after book than indies can. So, not only does the “entity publisher” have the challenge of refocusing an organization designed for something else to sell books, they’re fighting a tidal wave of competition that enters the market because of the low barriers to entry. In fact, if you were at a newspaper or magazine today and thinking about putting your company into the book business, there would be powerful arguments to follow the Hearst formulation of creating a home inside an established book publisher rather than building a low-overhead operation for yourself. But that option has always been available; it didn’t require a digital revolution to deliver it. A lot has been made of the fact that big publishers are seeing topline revenue erosion across print and digital. But the ability for readers to consume books has, at best, remained flat (there are so many more distractions immediately available these days) and the number to choose from has exploded. That means the per-title sales are plummeting. Per-title sales are what tell us whether publishers or independent authors can make any money. And the math is clear: it is getting harder and harder to do so, but it seems to be getting harder faster for the indies than it is for the established publishers.